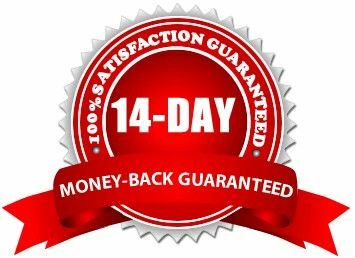 The delivery time for this product is 7/10 working days. As it is well known, the Tmax is the most modified maxi-scooter and we would like to add to it with this enlarged throttle body. The stock Tmax has a small 31mm throttle body with a 34mm bore however with all the modifications made to the Tmax, 34mm are no longer sufficient. 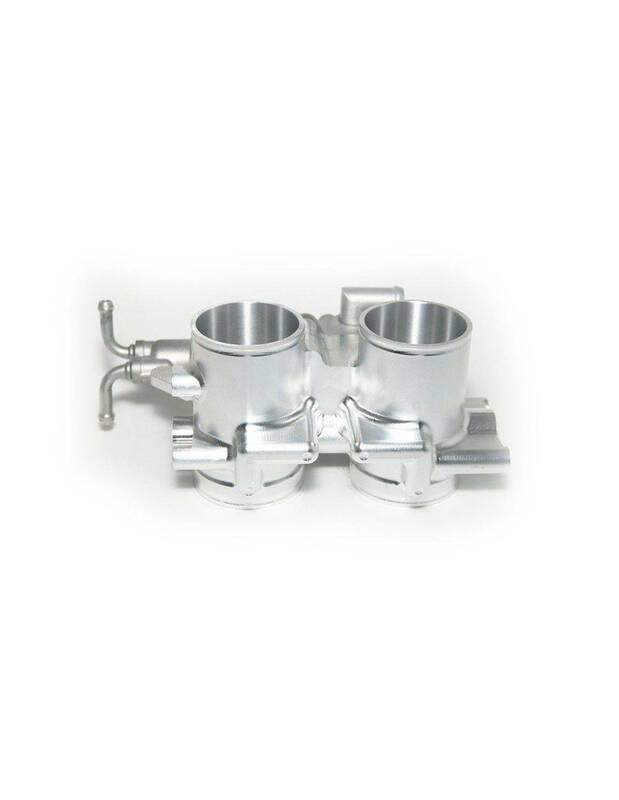 After several requests by various Tmax preparers, we decided to make a product which could not be matched: we developed a throttle body produced from a solid piece of 7075-T6 billet aluminium with a finish and detail fit for any shop window! It is possible to request either oval shaped 36mm and 38mm sections or a 40mm rounded section. The new 2013 oval shaped section, has a very effective Venturi effect which in comparison to the stock fitted throttle body, helps to avoid losing anything in the lower rev performance whilst the upper revs have a performance which is equal to 38mm. The throttle body is supplied assembled and ready for fitting. Once the original throttle body has been removed, it is necessary to remove the stepper motor, the throttle position sensor and the spool of the throttle cable. At this point all of these parts need to be fitted to the Jetprime throttle body and you are then ready to go. 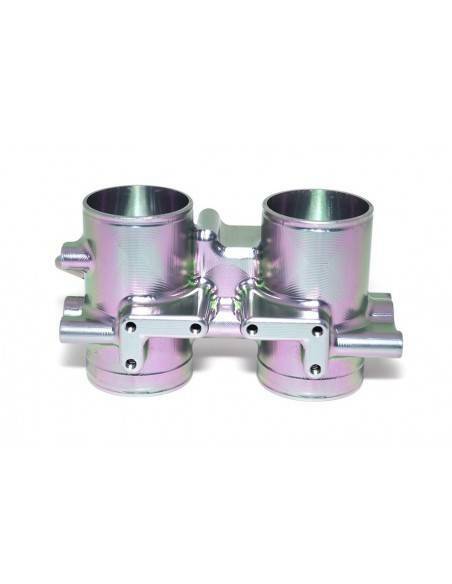 As the bore diameter is larger, we can also supply the manifolds and all that you need for the fitting. As an optional extra we can also supply velocity stacks which can be fitted in place of the stock rubber ducts which go to the air box. As an additional extra we can also supply dedicated mapping which we have prepared on our own test bench. 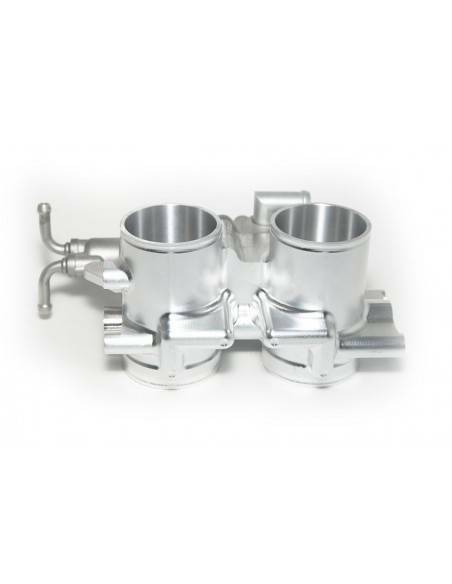 With this throttle body fitted to a standard stock vehicle you will be able to achieve better results both at full gas and with a greater pull in the lower revs. 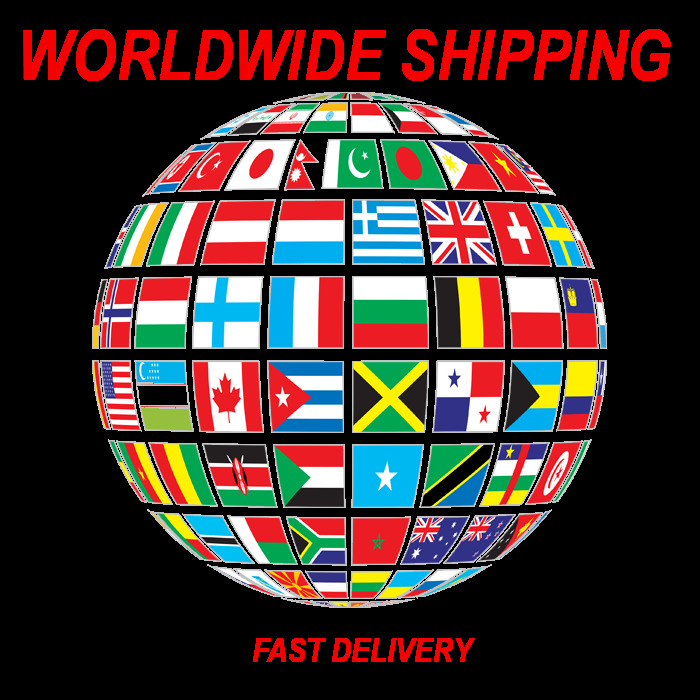 Jetprime is a specialist in the development of electronic power modules for injection engine based motorcycles, ATVs and quads. The most well known product amongst these is the Jetprime power module. 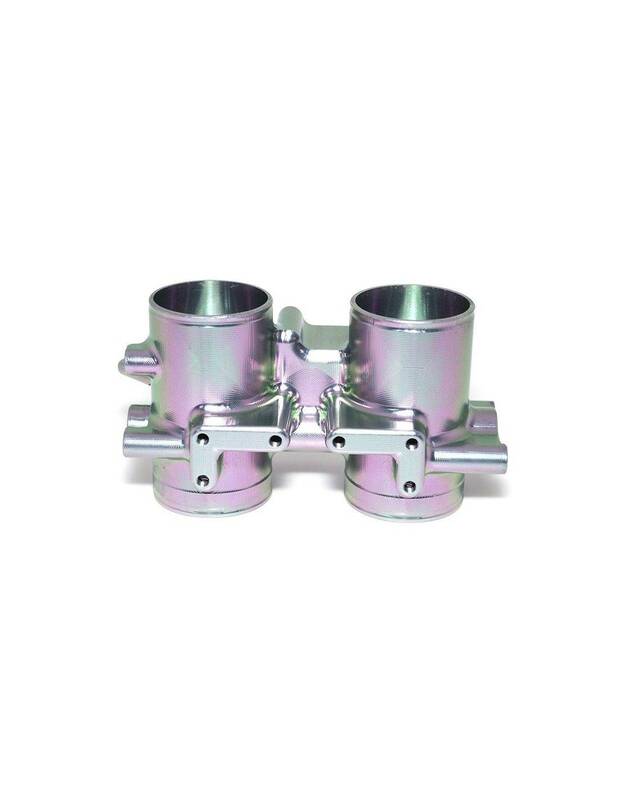 The company also produces various specialist motorcycle accessories and other sophisticated components which include enlarged throttle bodies, crankshafts and many other items.